Probably the closest competitor to the fantastic Google Maps, both in a browser and as an app on Android, is HERE Maps by Nokia. Its vector rendering is beautiful and satellite view is just as good as GMaps. The reason I like to have HERE Maps on Android is its offline maps feature (which Google Maps stopped a while ago). Just create a login at HERE and you will be able to download the map for your city/state/country. This is great cause I can just enable GPS while roaming around outside without requiring a data connection. How does HERE compare with Maps.Me? I find that Maps.Me is a lighter and faster app with simpler functionality. The size of its offline maps are far smaller than HERE, though their content seems to be about the same in my experience. 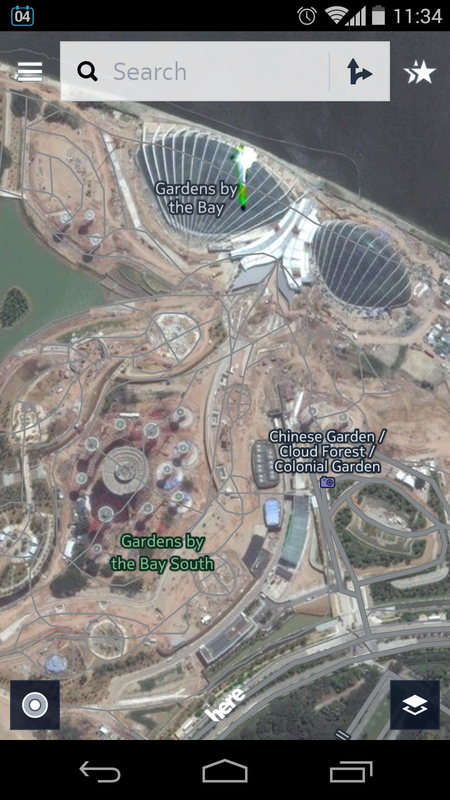 For example, the Singapore map by HERE is 160MB, while that from Maps.Me is just 4MB!